Offset the keyframes of all selected objects. This is a simple little floater that allows you to store and recal frames in time. By default it sets markers at 10% intervals across the timeline. 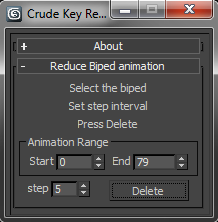 Shift+Click to memorize a frame number.